Nicholas Lintott is a specialist in Acupuncture. He initially became interested after his partner suggested a course in Leamington, and since then he has studied and developed a great interest in various forms of complementary medicine, from Transcendental Meditation to Reiki. Nicholas has always been interested in Chinese and complementary medicine in general, and has studied around his subject in addition to his work. He occasionally assists the clinic by using his other specialities, such as Reiki. He has also taught and practices Transcendental Meditation, and he feels that his interest in Chinese and complementary medicine gives him a excellently rounded approach to his acupuncture. 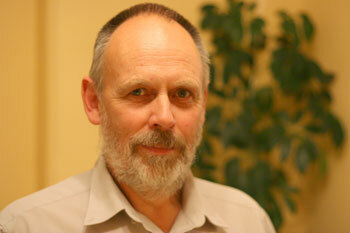 Nicholas started his training in 1981 at the College of Traditional Acupuncture in Leamington Spa. He then furthered his interest in Chinese Medicine studying at the College of Integrated Chinese Medicine at Reading. Finishing his studies with a Lic.Ac and a M.B.Ac.C in 1984 he has practiced privately since then. Nicholas has practiced acupuncture in several locations before Maple House Clinic. He has spent time in Nottingham, Belper and Eastwood amongst others. With over twenty years of practical experience he has settled at Maple House Clinic as the Acupuncturist. Aside from acupuncture, Nicholas has worked on many projects and studies. He has a degree in Sociology and Psychology, and has been a community worker amongst other things.